The heavy traffic only means it's a long weekend once more so in lieu of halloween looks (since halloween isn't as much of a big thing here, I think) I'll just share with you a vampy lip color from Maxfactor Lipfinity line: 3D Lipfinity in Chartreuse Blend 630. It's two-in-one (duh, blend? haha). The dark vampy red violet shade is step 1 while the green gloss is step 2. I got this because I got so curious with the color combination... I mean, what does a green gloss do anyway? As you've already seen against my skin, the green gloss isn't as green as it looked like in the tube--but it still pulls off green shimmer well. So this is my canvas. And this is what post-Step 1 looks like. It's very dark and vampy. Now I don't know how more 3D my lips can get, so I didn't keep high expectations. This is what post-Step 2 looks like. So weird because I think what the gloss did was mess up step 1 haha It just lightened the color and in a way it emphasized lines on my lips which I didn't like! Ooh the violet shade seems very wearable, it suits you well! Thank for this review, I haven't seen this product before~ By the way, thanks for your blog comment :) The nails aren't heavy at all, in fact they're very light just like regular false nails! 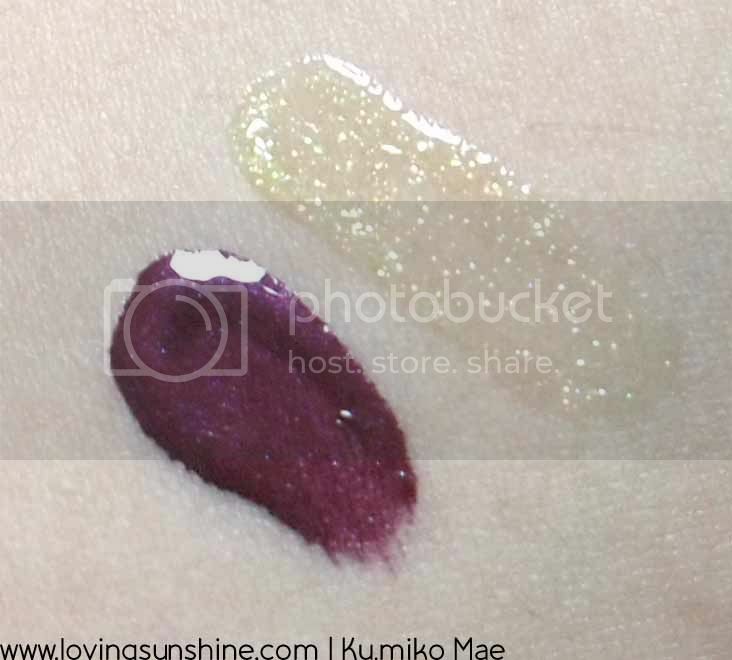 Geez look at that pigmentation! The color payoff looks superb!